Democratic Socialists believe that both the economy and society should be run democratically to meet human needs, not to make profits for a few. We are a political and activist organization, not a party; through campus and community-based chapters DSA members use a variety of tactics, from legislative to direct action, to fight for reforms that empower working people. 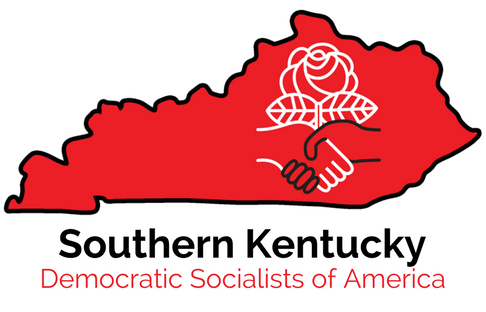 The Southern Kentucky Democratic Socialists of America organizing committee based in Bowling Green, KY.